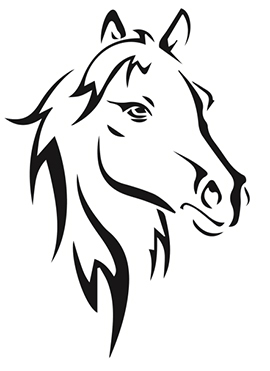 Another of my hobbies is wood carving and I like to do incised carving on signs Recently I came across a horse pattern that was drawn with thick and thin lines showing just the suggestion of the horse which is perfect for my style of incised carving. I don't know what this technique is called but I want to learn it. I will try and post an image of this horse which I bought off the internet so you can see what I mean. In any case I want to learn how to do it and any suggestions on where I can find tutorials, both video and text would be greatly appreciated! I think its really good, you should keep yourself busy with such activities as they're helpful in not letting your thoughts wander here and there and it keeps you distant from stress. Last update on January 18, 4:49 am by Kiara Willson.